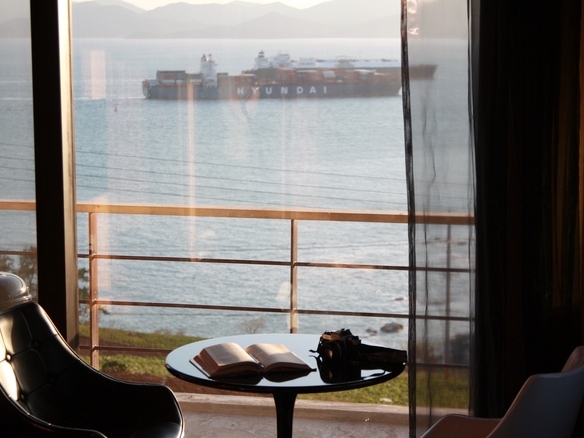 This blog we are going to recommend another wonderful place to stay in Namhae city! Namhae County is a county in South Gyeongsang Province, South. Namhae is popular as the fictional character Jin-Soo Kwon (portrayed by Daniel Dae Kim) on the ABC television show Lost is from Namhae. Also, Korean Drama “Couple or Trouble” aka “Fantasy Couple” was set in Namhae. The German village Dogil Maeul and Hilton Namhae Golf Spa were featured. The 2009 documentary “Home from Home” (Endstation der Sehnsüchte), directed by Sung-Hyung Cho, was filmed in the German Village Dogil Maeul (독일 마을). A pension named Whale’s dream or Korean name is Goraekum (고래의 꿈 펜션) located in Namhae near the beach. GoraeDream villa is located in an area where the refreshing ocean can be admired from the guest room windows and is also a 10 minute drive from a fan-shaped white sand beach and neighboring Sangju Beach. The Sangju Beach with a magnificent view of Mt. Seolheul as a background is the most beautiful getaway spot in south coast. On entering the GoraeDream it becomes obvious that every care and attention has been taken to ensure a comfortable stay. Immaculately presented throughout, the warm contemporary styled interior is fresh and appealing, featuring a mix of wood laminate or tiled floors. For ease of catering for all the family the kitchen/diner is exceptionally well equipped with a modern range electric cooker, hotpot and refrigerator. Watch the beach from your room! Hot tub, One Bedroom and One Living Room/Kitchen. Shower Room with WC. , Wireless Broadband, 32 Inch LED TV, Refrigerator, Hot Pot, Rice Cooker, etc. – 24 hours shop is available 3 min by walk. Stay HAPPY and FUN in KOREA~! This entry was posted in Accommodation and tagged Korea travel, Korea trip, Namhae, south korea, ‪‎travel, traveller.